Tarun Tyagi, a Faridabad resident, visits Nizamuddin railway station six to eight times a week as he commutes back and forth from work. Only a year and a half ago, to kill time time as he waited for his train, the 24-year-old would read newspapers or roam different platforms. Now he uses that time to download a couple of movies and to update all the apps on his Android smartphone using RailWire’s free Internet. Tyagi is one of the six and a half million passengers who visits one of over 100 railway stations in India that offer Internet access at over 24Mbps speeds for half an hour at no charge every day. Post this period, the commuters are free to use it the entire day, should they want, but the speed drops to about 1Mbps. Announced in 2015, RailWire’s Internet is a joint project by Google and state-owned telecom infrastructure provider RailTel that aims to bring free Wi-Fi access to railway stations across India. 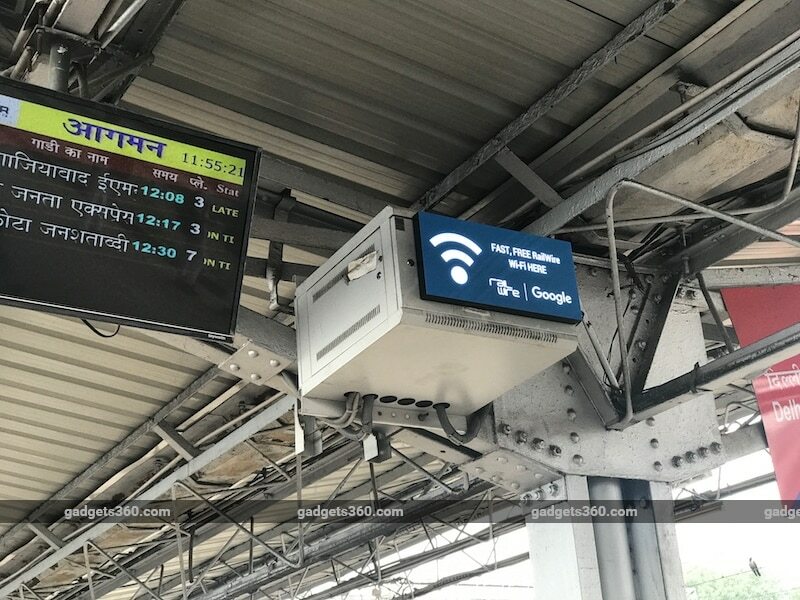 Google has already deployed RailTel routers and switches at 140 railway stations, and the company says it is on track to double that number by the end of next year. Gadgets 360 spent some time at the Nizamuddin railway station Monday on Google’s invitation and spoke to several passengers who were using RailWire. Several regular passengers and vendors say the service works as advertised, even when the place is crowded. A Google executive said the company has deployed the RailWire network at stations in such a way that a passenger would always receive optimum signals. At any point, a passenger is under the coverage of three to four switches – two from the same platform and rest from the adjacent platforms. “As we scaled our efforts, we have ensured that the network can serve every passenger,” the executive said. However, the company has also reduced the access duration for the fast free Wi-Fi from an hour to 30 minutes. In a conversation with Gadgets 360, Gulzar Azad, Country Head of Connectivity at Google India said the company is pleased with the way it is scaling the RailWire project, and with the quality of Internet it is providing. “The data speeds that we offer to millions in India with RailWire, and the reliability of the connection, you wouldn’t find it at most international public places,” he said. 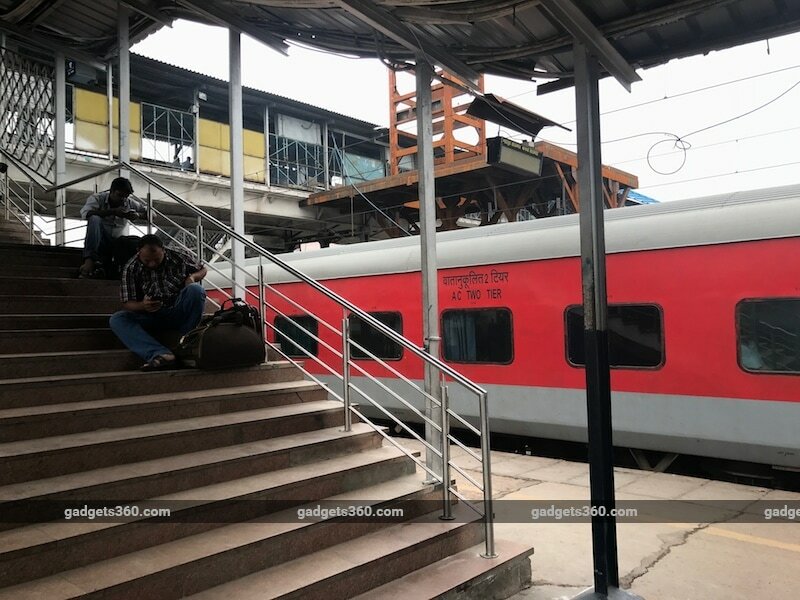 But even as Google scales its RailWire project and brings the service to more stations, has the appeal of its free Wi-Fi waned over the past one year as mobile data become more affordable in India? Azad doesn’t think so. He said the arrival of Reliance Jio last year was certainly “a learning experience” for the company, but it hasn’t impacted the growth of RailWire. In addition, people at the railway station continue to use RailWire service. Moving forward, Google plans to work on two things, in addition to expanding RailWire to another 260 railway stations. The company will make it easier for passengers to sign-in with RailWire. At present, passengers login to the service by providing their mobile number and authenticating themselves by a one-time password they receive on their phone. Azad said the company plans to make the login experience easier. “Later this year, commuters will see multiple ways to login to RailWire,” he said, without offering any further details. The other challenge for Google is finding a model to sustain the service. It is working with the Indian Railways and RailTel on this. Today, a commuter only sees one ad when using the RailWire service. It’s the ad that appears on the login page. Would Google ever serve more ads on the RailWire service? Azad told us that there are many ways to monetise, and it doesn’t have to be just ads. In general, he said, when a user accesses fast-Internet at the railway stations, they are more likely to consume more Internet when they go home as well. This helps several businesses, he said. Google plans to complete the roll-out of RailWire at 400 railway stations by the end of next year, or early 2019. That would conclude the project. With RailWire, the company only intends to provide free Wi-Fi at railway stations, Azad said. But the company won’t stop with its connectivity efforts there, he said. Next on the agenda is a project which Google is already working on – turning several Indian cities to smart cities. This is part of Google Station project, which the company announced last year. The idea of the project was conceived based on the feedback received on the RailWire project, Azad said.